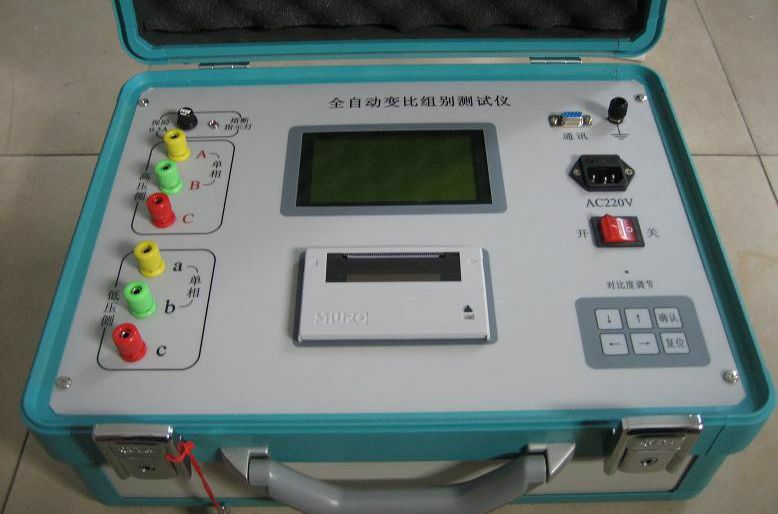 This is a 3-phase transformer turns ratio meter. It will automatically check out and display winding polarity & phase angle, turns ratio and percentage error. It is portable, light weight, less than 8kg! -- Automatic save measured result; history data can be viewed.